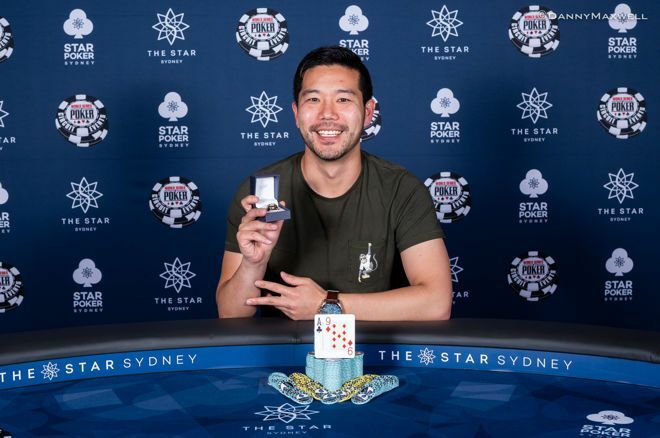 The highly esteemed World Series of Poker is currently underway in Australia with the 2018 WSOP International Circuit Sydney lighting up the felt beginning November 27 at The Star Casino. The annual event is slated to run for 21 days, wrapping up on December 17. This is the brand’s third visit since 2016. Several events have already concluded with the Main Event – A$2,100,000 (~US$1.5M) Guaranteed – just getting started. Early big winners include Matthew Wakeman for the 5K Challenge and Luke Martinelli for the $20K High Roller. Undoubtedly the stiffest tournament of the series was the A$20,000 No Limit Hold’em High Roller event. This drew a tough field of 50 to the tables. 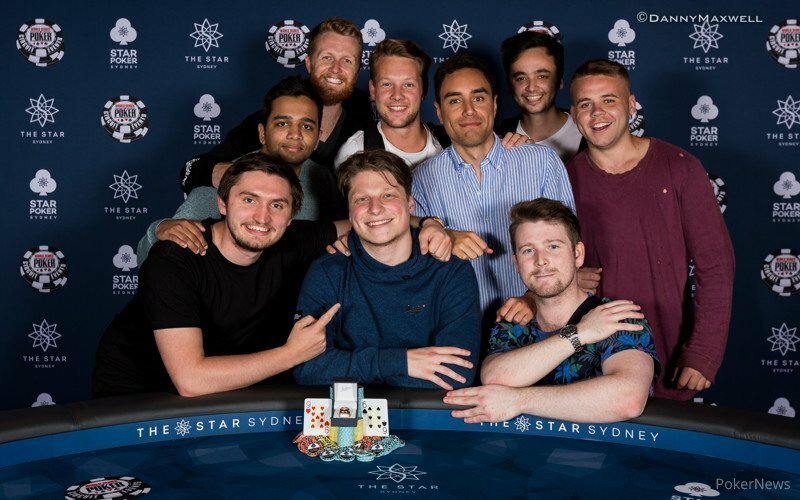 Alex Lynskey, Kahle Burns, Sosia Jiang, Sam Higgs, Jarred Graham were just some of the pros rubbing elbows looking to earn a piece of the A$961,000 (~US$688,300) prize pool. In the aftermath, only five players got paid and the man on top was Luke Martinelli. 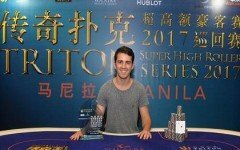 Martinelli reeled in the largest share of A$356,250 (~US$257,600) after defeating Ebon Bokody in a seesaw heads up battle. This was Martinelli’s largest career score and his first major win. 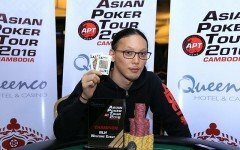 In his interview with Pokernews, he expressed, “It’s pretty good,”… “It’s the highest buy-in I’ve ever played in my life so it’s nice to win that one.” The news also stated that he sold action to his friends after failing to qualify via the satellites. With that win, Martinelli has now accrued around US$400K in live tournament earnings since 2016. There was also no lack of big guns at the A$5K No Limit Hold’em Challenge with 216 ponying up for a piece of the A$1M guarantee. With that number of entries, the prize pool exceeded just slightly to A$1,026,000 of which 24 players earned a piece. The largest cut of A$256,496 (~US$188,800) was awarded to Matthew Wakeman for his victory along with that special WSOPC ring. Though Wakeman has impressive stats pushing near seven digits, this was his first-ever live tournament career win. 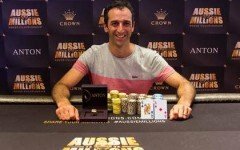 One of his near victories was several months back where he finished 2nd at the Sydney Championships A$20K High Roller event for A$159,600. This maiden victory now trumps that score as his largest live payout to-date. Among the other finishers in the money were Sam Higgs (17th), Jason Gray (20th), and Julius Colman (24th). 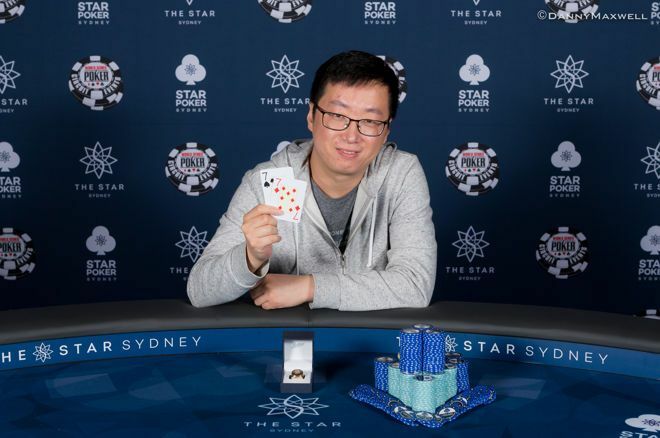 It was a dream victory for Melbourne’s Jun Wang as he overcame the competition at the A$500 No Limit Hold’em Opening Event. 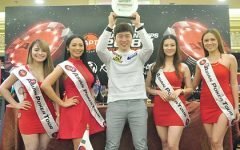 Wang rose above the 1,444 entry field to capture a bucketful A$112,171 (~US$81,000) in winnings and the coveted first ring of the series. Wang entered the final nine as the dominant chip leader, in fact, it was his first-ever final table. Wang proceeded to rail two players then reached heads up against Malcolm Trayner another fairly new face in the deep. Trayner had the chip advantage. Once Wang evened up, he went on to win it. This was Wang’s first-ever live tournament career win and his largest payout to-date. 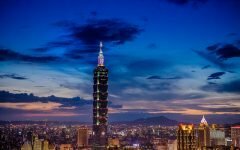 Among the Asians sliding in for the cash were India’s Akshay Kapoor (51st), Chinese players Yibo Song (89th) and Haoran Zhang (91st), and Vietnam descent Tony Khoang (120th). Also running deep was defending champion Johan Lees (76th). The A$1,320 Six Max event – A$400K Guaranteed – drew a smaller field than expected with only 283 runners. This resulted in an overlay to meet the advertised guarantee. Hailing triumphant was Hussein Hassan capturing his first-ever WSOPC ring and earning a career-high A$104,000 payout. To attain victory, Hassan had to overcome a huge deficit at heads up against Sayed Jabbour. The round began with Hassan behind 2:1 which worsened to nearly 3.5:1 until he cracked Jabbour’s kings with a straight to nearly even up. It took several more hands before Hassan was able to take the lead and when he did, it was all uphill leaving Jabbour in the dust. Among the other finishers in the money were Asians Jensen Chow (16th) and Chao Duan (17th). A$5k Challenge winner Matthew Wakeman also cashed in at 30th place. The A$2,200 buy-in Main Event is underway. 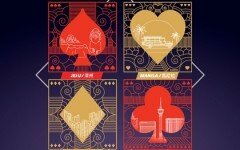 The event comes with a very rich A$2,100,000 (~US$1,5M) guarantee. It will run a course of 11 days from December 7 to 17. At the time of writing, Day 1D was taking place. Somuchpoker will continue to track the action so stick with us as we bring you the results as the unfold.